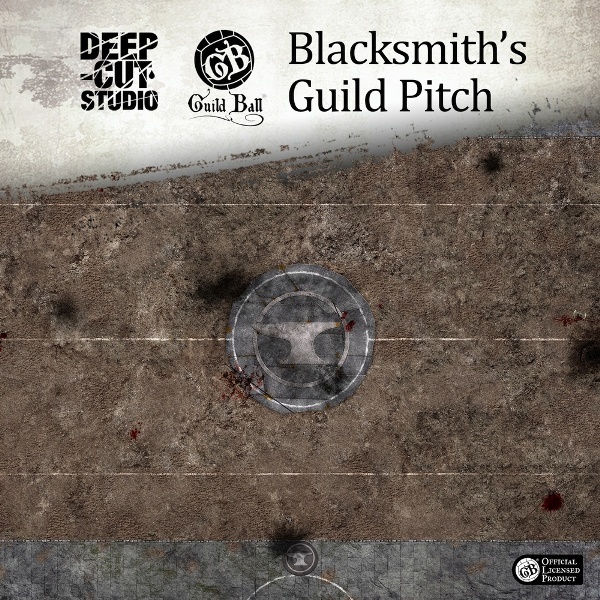 New game mat for Guild Ball has just been released – Blacksmiths pitch. Known for their sturdiness and strong arms, only these guys dare ride a horse in a match. No wonder their home pitches are built like fortresses. Ride yourself to victory on this new playmat too – available at www.deepcutstudio.com – home of game mats.